Earlier this fall, the Obama administration released a call for a 60 MPG standard by 2025. The announcement followed two other relevant news items. First, two polls this year have asked about public support for stronger efficiency standards. This poll was released earlier this year by the Consumer Federation of America. A second poll by Mellman was released in September. This is my favorite result from the Mellman poll, "83% favor paying an additional $3,000 for a vehicle in 2025 if they would then save $3,000 in gasoline costs within four years of purchasing the vehicle." Second, a report authored by John DeCicco at the University of Michigan shows that a 60+ MPG target is feasible by 2025 at the current rate of technological improvements. (Here's a brief summary.) A key assumption is that future technological improvements will be applied to efficiency rather than increases in horsepower. 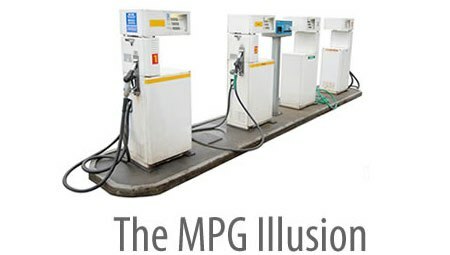 Gregg Easterbrook wrote about the mpg/horsepower tradeoff two years ago in a post at espn, "Like weight, horsepower depresses fuel economy. Simply knocking a third off the horsepower of new U.S. passenger vehicles would, in about a decade -- as efficient new vehicles replace wasteful old ones -- eliminate approximately the amount of oil the United States imports from the Middle East. Yes, it's that simple." The key argument in the DeCicco paper is that we do not need to sacrifice horsepower from where it is (after three decades of improvement) but simply redirect future technology improvements to efficiency while holding horsepower constant. We urge you to set ambitious new standards for passenger vehicles. We have seen the automakers meet goals time and time again, and we are confident that technological improvements, including the plug-in hybrids and pure electric vehicles that they are rolling out, will increase efficiency and affordability further and will make 60 miles per gallon commonplace."